A few months ago I shared our love for a new fruit juice and how it was so perfect for our crazy busy life of sports. 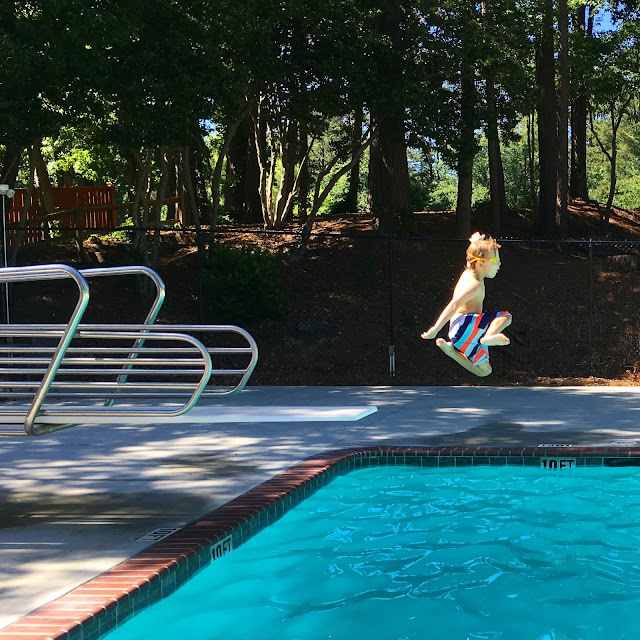 Each of my kids' have really found the thing they love doing most and during the summer they are still involved one way or another with their sports, but it is a toned down version, thank goodness. For the past few years our summer thing has been swim team. Every year I tell myself we won't sign up for swim team again and here we are in the middle of our 3rd swim season. (I just revisited my thoughts on swim team last year and I have to say not much has changed.) 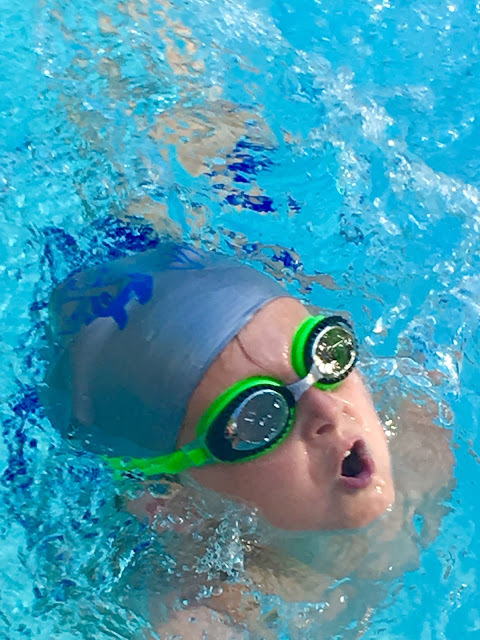 This is the first year that my little Boo-Boo has been old enough to swim on the team. He could swim, but swimming strokes is a whole other ballgame. I was worried about how he would do after seeing him struggle at the first practice, but he has definitely won most improved swimmer and come such a long way in such a short time. I kind of have a love/hate relationship with swim team. My kids love it and I, well don't. I can't say I really hate it, but it isn't my favorite kid activity. However, I've learned how to deal and manage the early morning practices and the weekly evening meets. Rookie's might not know this, but the concession stand is one of the weaknesses for all parents at swim meets. Sure, I love supporting the team and buying food at the concession stand, but beyond the food is the junk. So much candy and sugary drinks that the kids just beg for because all of their friends are getting it. 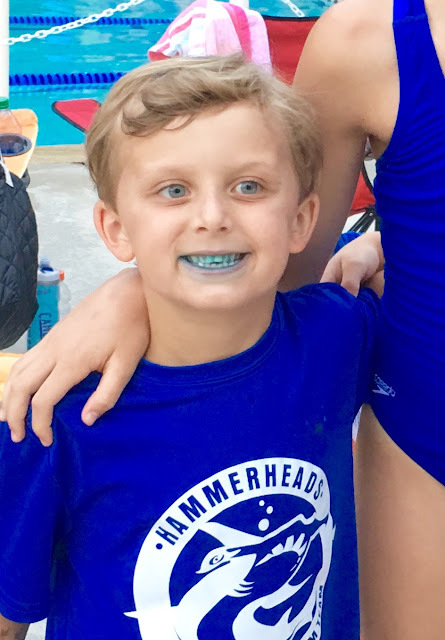 I got smart and started packing our own cooler of drinks and snacks for the meets because if I didn't, they ended up with a sugar overdose and a blue mouth to prove it. After they've eaten their concession stand dinner I now I let them buy one candy item each and that is it. 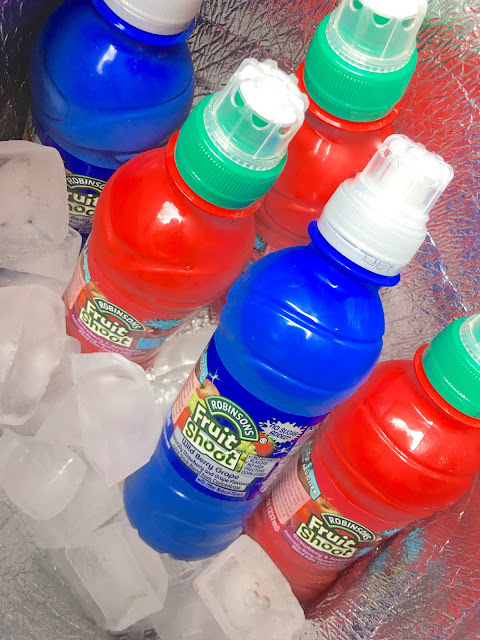 For the rest of the night they can choose from things I packed and Fruit Shoot® is always in our cooler. It's perfect for meets because nothing can get consumed in one sitting during a meet. Regular juice boxes or pouches would be all over the place and such a mess. 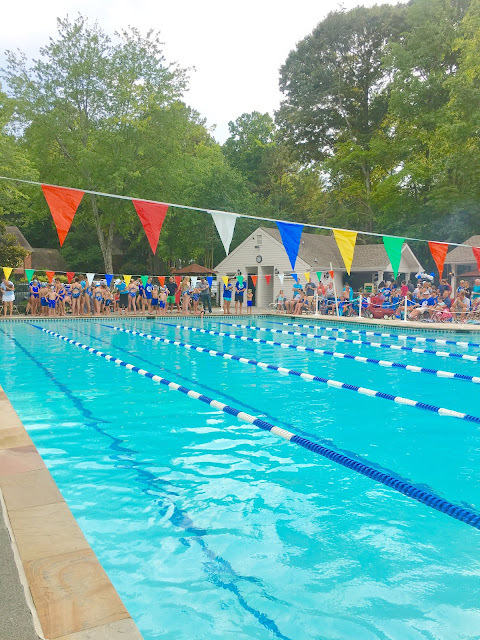 The kids are constantly up and down to either swim their own events or cheer for their friends who are swimming and there are kids EVERYWHERE. It's organized chaos, but mostly just chaos. 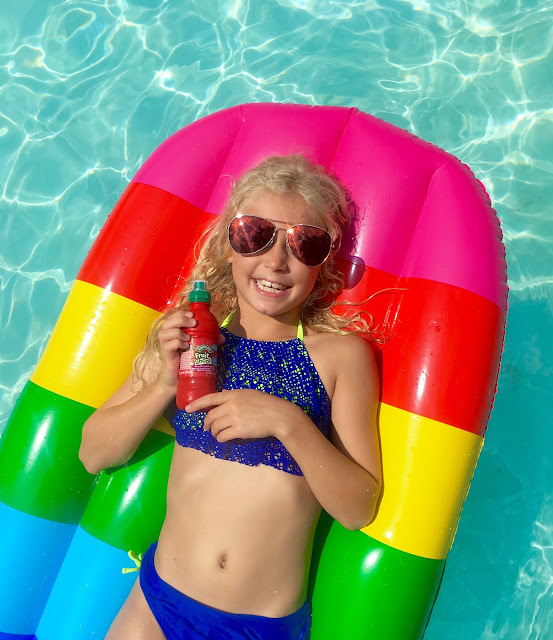 With Fruit Shoot®'s resealable lid, the kids can sip on it when they want and close it back up to prevent spills until after they are done swimming. An added bonus is the fact that Fruit Shoot® has no artificial flavors and no high fructose corn syrup. So much better than a crazy blue candy mouth! 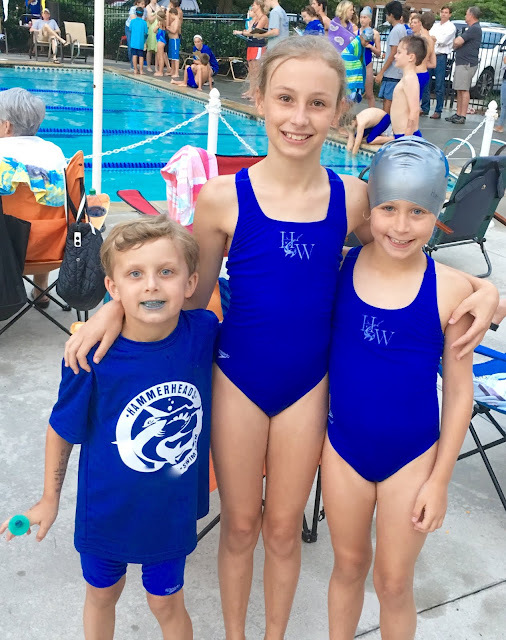 Swim team has been great for my kids because they love the social aspect of it and it really does make them such stronger swimmers. However, as much as they have fun with it, we also love the days when can just relax by the pool and swim for fun. No races, no volunteering, no need to worry about events and heats and what lane to be in...just good old fashion summer fun. Fruit Shoot® has been our go-do drink of choice for those days, too. 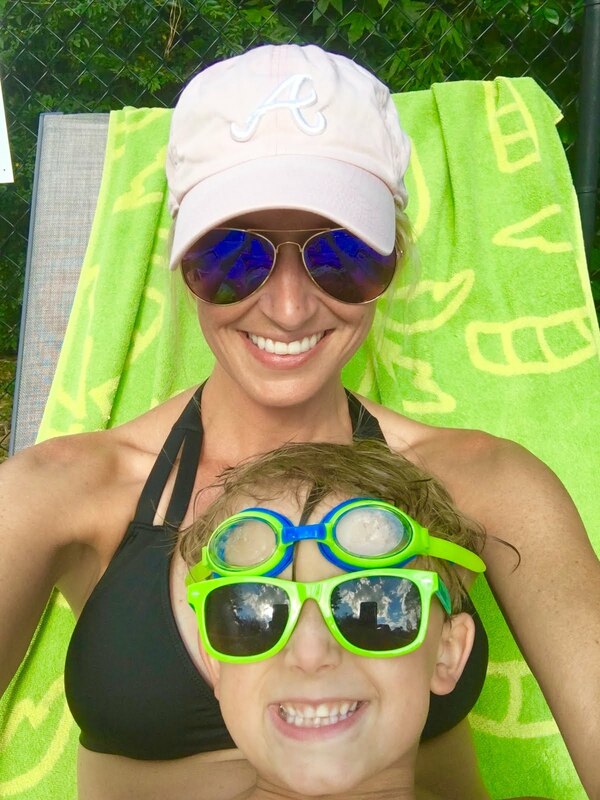 It's rare they will consume an entire juice box or pouch in one sitting so being able to close the lid and bring the rest home with us is perfect for our lazy pool days. It never fails that another mom sees my kids drinking a Fruit Shoot® and asks about what it is. Then the kids notice the fun bottle and want some. I always have extras, but the moms are always curious where to find it. Fruit Shoot® has been a very popular juice drink for kids in the U.K. and they are making their way to the U.S. While it is not available at all retailers, I've found it at my local Kroger in the juice aisle and you can find a retailer closets to you HERE.